Beechdean AMR have today announced that they will taking a step back from the British GT Championship as they look to consolidate their position in the European Le Mans Series and Le Mans 24. 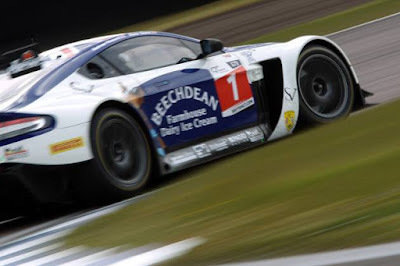 Beechdean AMR have competed in Britain’s premier sports car championship since 2006 and have established themselves as prominent front runners. The team have secured 20 class victories and 4 drivers championships over a period of 10 years. The outfit will put full focus towards the Le Mans 24 Hour race, European Le Mans Series and several SRO events in 2017. 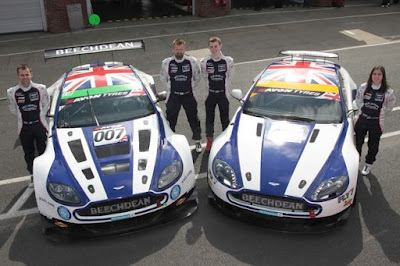 Ross Gunn has latterly confirmed that the sabbatical does indeed all cars across their range and includes both of the teams GT4's although we will apparently be seeing the teams blue and white cars somewhere in the UK and Europe in other series during this season.